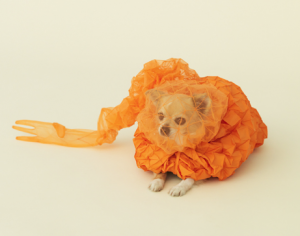 If you have a Chihuahua you love and nothing but time on your hands, you’ll want to check out Architecture for Dogs by Reiser + Umemoto for Chihuahua. This is an interesting concept that will help make your little Chi stand out in any crowd. And you can create it all by yourself. Check out the article and let me know what you think of it. I, personally, will not be enveloped in a cloud. I stand out just fine.